At its annual Canadian Aerospace Summit held on November 13-14, the Aerospace Industries Association of Canada (AIAC) officially launched Vision 2025: Beyond our Imagination. As an industry-led initiative, Vision 2025 aims to bring industry, government, the public, and other stakeholders together to begin a new discussion that will map a course for Canada’s future in the international aerospace sector. Charting such a course for Canada at this time is crucial. Leading the charge of this new initiative is former Deputy Prime Minister and Quebec Premier Jean Charest. In officially launching Vision 2025 during the Summit’s Annual Aerospace Dinner, Charest pointed out that “global competition has never been fiercer, and we’re at a turning point where Canada must step up to compete, or risk being left behind.” To help in the stepping up efforts, Charest will drive Vision 2025 through engagement days across Canada. “I look forward to engaging with industry leaders and hearing their insights, expertise and opinions on how we can come together and ensure a strong, vital aerospace sector that will propel Canada’s economy now and, in the future,” he said. Former Deputy Prime Minister and Quebec Premier Jean Charest speaking at the Canadian Aerospace Summit 2018 in Ottawa. Photo: AIAC. AIAC will host engagement days in key aerospace communities in the country with the first one slated for Toronto on December 10. The others will take place in Montreal on December 13, Vancouver on January 10 and Halifax and Winnipeg on January 17 and January 28 respectively. Even though Canada’s aerospace sector is ranked fifth in the world with an annual contribution of about $25 billion to its economy and employing almost 190,000 people, a current comprehensive strategy to grow the sector is not in place. Such a plan to guide the nation’s investment in the industry has not been proposed for many decades. With Vision 2025, AIAC is looking to outline a strategy to ensure that Canada’s aerospace industry is not left behind. The Charest-led talks in cities across Canada will culminate in a report that will provide recommendations to drive the growth in the aerospace sector. 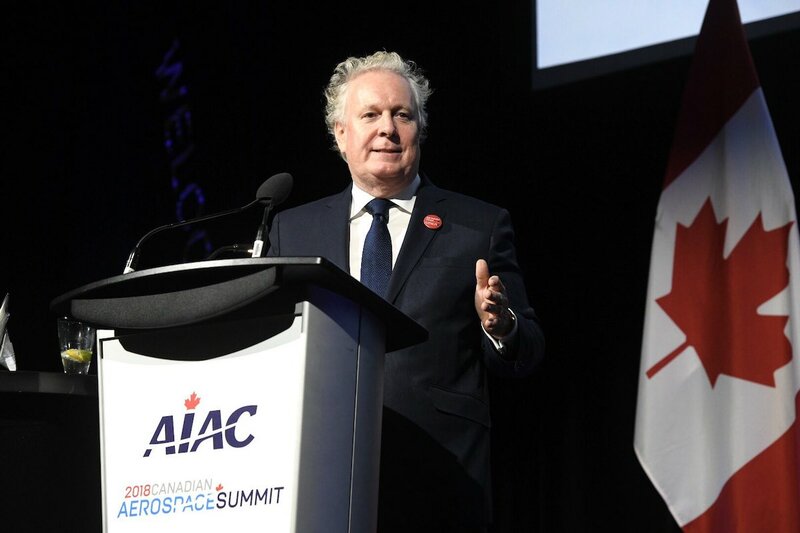 Charest said that he looks forward to having open, productive conversations about how Canada can leverage its competitive advantages and overcome barriers to growth and innovation so that the aerospace industry can continue to succeed in the face of global risk and uncertainty. “We are thrilled to have Mr. Charest involved in this special initiative and excited to see where Vision 2025 takes our industry over the next decade,” said Quick. To learn more and to stay up to date with Vision 2025, go here. Game Changer: Barney Bangs, Tulmar Safety Systems Inc.